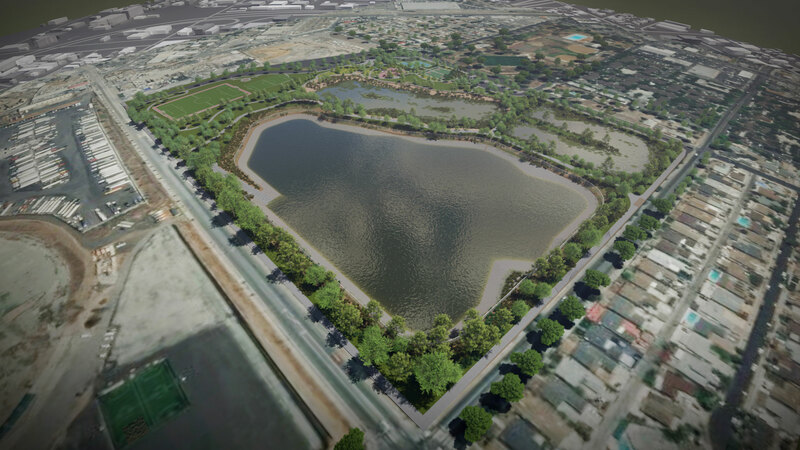 The Rory M. Shaw Wetlands Park Project is a collaborative effort by the Los Angeles County Flood Control District, the City of Los Angeles, and the Sun Valley Watershed Stakeholders Group to address major flooding in Sun Valley. 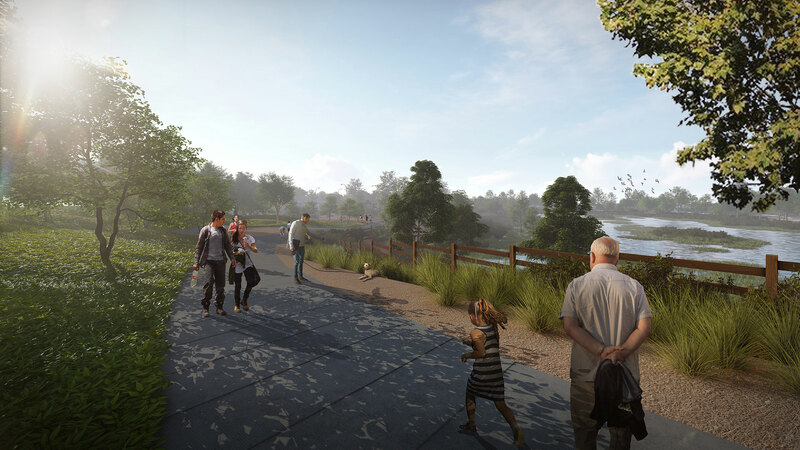 The project’s objectives are to mitigate flood risk and reduce stormwater pollution while increasing water conservation, recreational opportunities, and wildlife habitat. This will be achieved by converting a 46-acre, engineered, inert landfill into a multi-purpose wetlands park. The park will feature a 21-acre detention pond that will provide the capacity to hold runoff collected from the upstream tributary area. The captured stormwater in the detention pond will then enter a 10-acre wetland that will act as a natural water treatment system by removing pollutants from the stormwater. In addition, the wetlands will form a sustainable habitat for various plant and animal species. Finally, the treated stormwater is to be pumped to the existing Sun Valley Park infiltration basins for groundwater recharge. Sun Valley community is currently underserved in recreational opportunities. 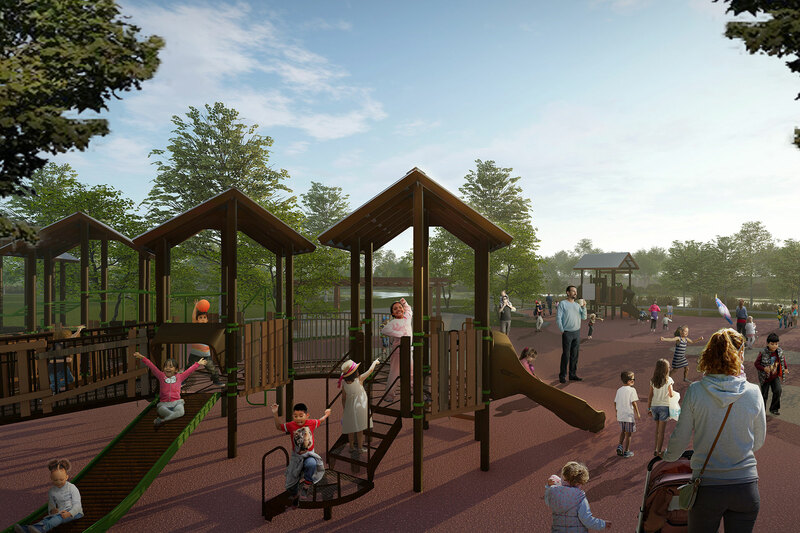 The Rory M. Shaw Wetlands Park Project meets this need by creating approximately 15 acres of open space and recreational areas. 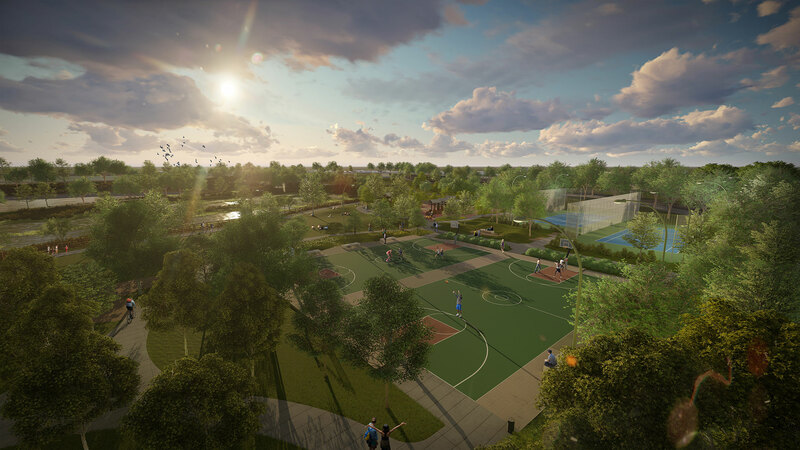 Proposed recreational enhancements include trails, basketball and tennis courts, a tot lot, picnic tables, educational signage, and restrooms. A storm drain system will be constructed as part of the project to capture and convey runoff from the upper portion of the watershed and deliver it to the detention pond. The storm drain system is proposed along Glenoaks Blvd, San Fernando Road, Tuxford Street, and Tujunga Avenue. Due to a discovery of organic landfill material on-site, the project required undergoing a re-design to ensure complete site safety. Construction is planned to begin in Fall 2019 and completion is expected in Spring 2023. 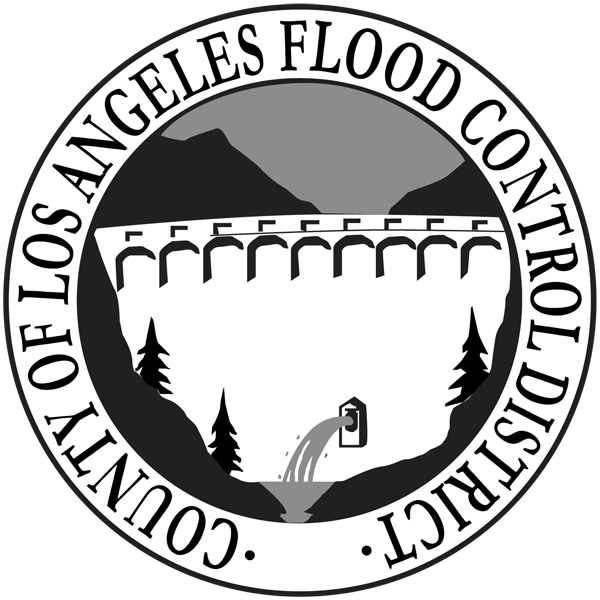 The project is funded by the Los Angeles County Flood Control District, the Los Angeles Department of Water and Power, and City of Los Angeles Proposition O grant funds.